Can growth of higher education keep up with India’s human potential? Can India’s low cost innovations disrupt the global economy? What effects do abstract social and creative innovations have in the Indian context? 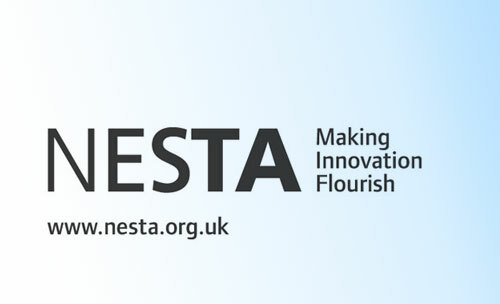 These are some of the questions that NESTA, in partnership with the UK Foreign and Commonwealth Office, UK Research Councils, and the UK-India Education and Research Initiative, are looking to answer. NESTA’s recent publication on Innovation in India is a survey on the changing landscape of research and innovation in the Indian environment. Meant to be a resource for policymakers, higher education institutions, and innovative companies seeking partners in India, the intensive study is based on interviews with individuals in fields of policy, business, education, research and civil society. Using these interviews and the latest data, the report notes trends as well as provides insight into critical issues in India’s innovation trajectory, finally asking if India will achieve its ambitious innovation goals, and what it will mean for the rest of the world. This NESTA report builds on the work done by the think tank Demos, in their publication Atlas of Ideas. In particular it draws from India: the uneven innovator, by Kirsten Bound, who now works with NESTA. After spending five years as a senior researcher at Demos, where she focused on democracy and innovation in India and Brazil, Bound worked for Tony Blair’s Africa Governance Initiative in Rwanda advising the Prime Minister on policy delivery. She consulted for the World Bank’s International Finance Corporation on Investment Climate Reform, and in 2009 joined NESTA as a Lead Policy Advisor on Innovation Systems. Her published works include: Brazil: the natural knowledge economy, The Everyday Democracy Index, Mapping Governance at the Local Level, and Community Participation: Who Benefits? She has also has created several series of forums designed to increase communication and learning to create spaces for new and innovative ideas in the European context. Kirsten was in Delhi earlier this week and spent lunch talking with Aditya Dev Sood about innovation in India and Design Public III. We at CKS are very hopeful for her insight and expertise at the next edition of Design Public.